Mezzo-soprano Rachel Calloway has performed to acclaim throughout North America and Europe in opera and on the concert stage. This fall, she appeared as “Mrs. Herring” in Albert Herring with the Châteauville Foundation and Lorin Maazel and recently performed the world premiere of a New Andean Songs by Gabriela Lena Frank with the Los Angeles Philharmonic. 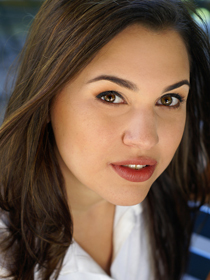 She has also appeared with Glimmerglass Opera, Central City Opera, and Gotham Chamber Opera. This spring she will appear with Continuum in Merkin Concert Hall singing Virko Baley’s Klytemnestra. Ms. Calloway is a member of Shir Ami, an ensemble dedicated to the preservation and performance of Entartete Musik, music condemned by the Nazi regime during the Second World War. A native of Philadelphia, she holds degrees from both The Juilliard School (BM) and Manhattan School of Music (MM).